As Summer time is drawing to an end, we take time to cleanse, nourish and repair our manes! Heat, humidity, sun and sea can sometimes take a toll on our hair, so TLC is always key. Starting off with a cleanse. We want to take the build up of chlorine and sea water out of our hair. Sounds crazy I know but these elements can make our hair very dehydrated causing dryness, damage and colour fading. I would recommend visiting your hair salon to get rid of those split ends and re vamping your hair colour. Remember, Autumn is on its way and is the perfect time for a change. For some people this may be harder with kids going back to school and work just round the corner, so I am here to share with you my favourite products to help restore our manes with moisture, giving our locks ultimate shine whilst helping smooth out that brittle texture. Ready to try something new? 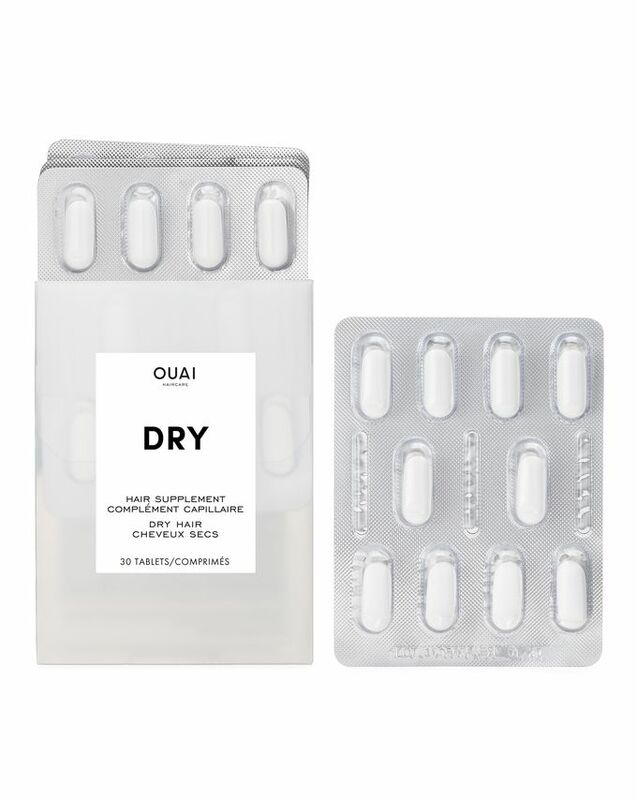 Ouai Dry hair supplements are definitely a different way of getting moisture into the hair. Who would of thought taking a supplement could make that much difference? Full of Omega 3, Silica ,Iron and Vitiam E sounds like the perfect recipe for moisture, restoring hydration, helping to promote healthy glossy hair. This supplement encourages hair growth and strengthens the hair follicle with hydrating nutrients. What more could you want? They are a complete game changer for anyone suffering with dry hair. Bleached beautys, damaged darlings and frizzy friends this one is for you. Every morning to start off the day take one of these supplements with a glass of water. Keep it up for 90 days and wash your worries away. A lot of people these days can be put off conditioning masks. If used incorrectly or on the wrong type of hair, they can leave your manes feeling dull, lank and even greasy. System Professional Repair Perfect Hair is one of my all time favourite products. For weak, damaged broken hair the light weight foam internally strengthens hair fibres and restructures damaged areas using hydrolysed keratin and amino acid... Over the years I have seen miracles with this. Use after towel dried conditioned hair, it is super light weight and also a great heat protector. Apply 2-6 pumps throughout your manes and style as usual. Not only helping to protect but also strengthen your locks. We have all heard of Olaplaex right? This isn't a conditioner or a moisturiser. it is actually something quite amazing. It rebuilds our broken bonds whilst strengthening our manes. It is the perfect way to repair our summer hair. No 3 is the take home must! You don't actually have to have used Olaplaex No 1 & No 2 in salon, but it works best by using all 3 systems. But don't worry I promise you will still see benefits from olaplaex No 3... This product can be applied to dry hair, unless hair is slightly oily or has a build up of product on it. If so, give your hair a light wash, apply a generous amount to towel dried hair and comb though roots to ends. Leave on for a minium 10 minutes, the longer you leave it on the more effective it will be. Once you let your manes soak, rinse well, shampoo and condition as usual. Then you are ready to style. I personally love to use this treatment once a week, but for someone needing a little more TLC on their locks I would recommend twice a week. If you want to find out more on Olpalex check out my previous blog post explaining all the 911.